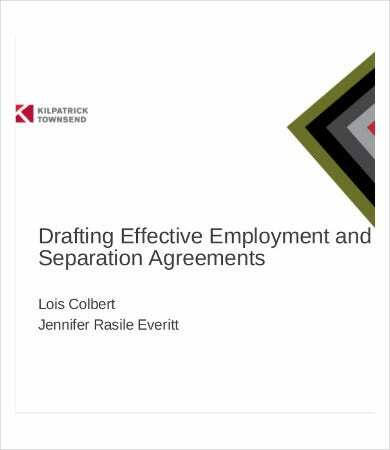 An employment separation agreement samples is a document being presented by a company to assure the knowledge of the resigning employee with regards to the separation transactions that he or she have done within the bounds of his or her employer. 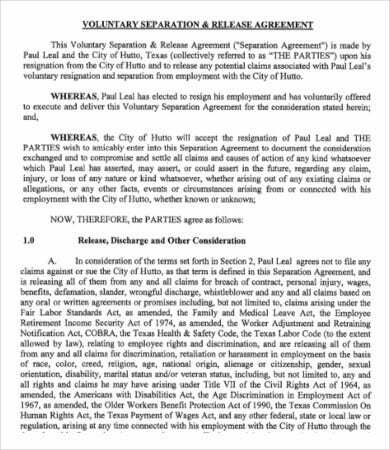 It also serves as the document that lets people and other entities know that the employee has agreed with the terms of separation. 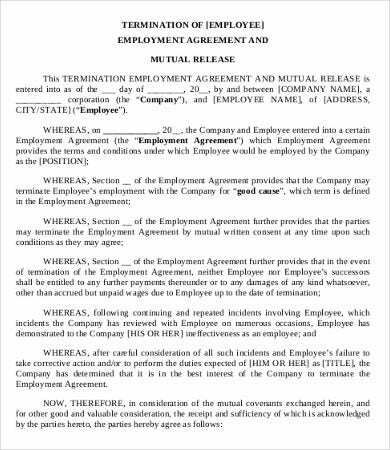 This document is not required by law but is only a due process that is done by a company to provide all the information and terms about separation and what the employee who is to resign can still expect to get from the employer. 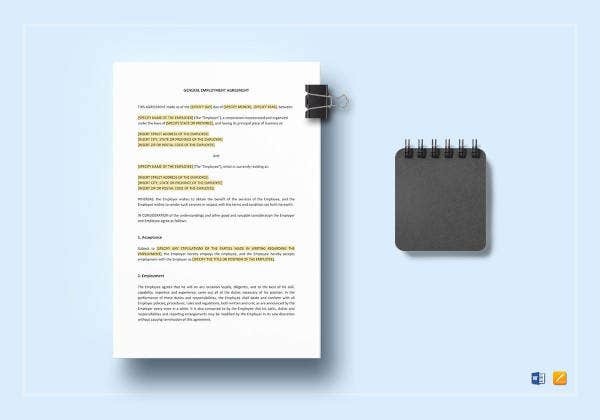 Other than our simple employment separation agreement templates, we can give you samples of other kinds of Agreement Template, which you may use for other purposes. The monthly salary that is given by the company to its employees starting from the effective date of resignation onward. 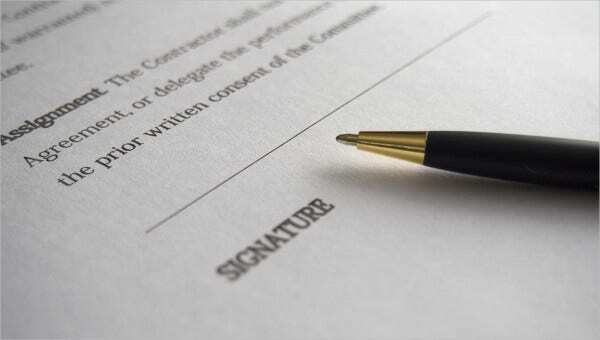 The benefits including discounts on different establishments and membership programs signed within the binding of the company and the employee. Health care agreements that are provided by the company through its partner health care providers and hospitals will also be stopped. 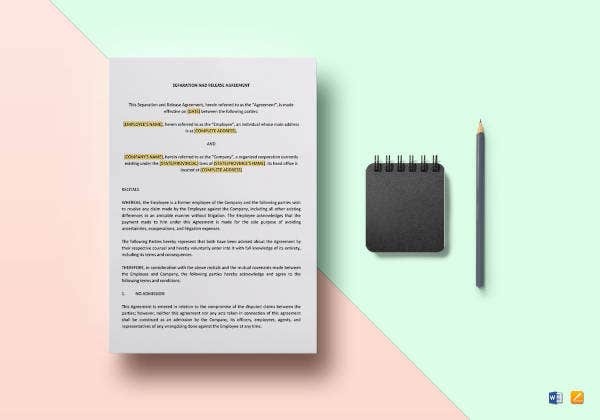 Other than our employment separation agreement templates, we can also provide you with other kinds of Separation Agreement Template used in other purposes. 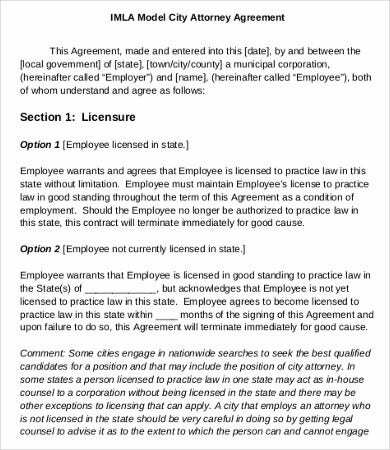 Also, you may be interested to download our samples of an Employment Agreement Template. The employee will still receive the complete remaining payout for the time of service rendering and that the monthly base salary will still apply for the computation of such. 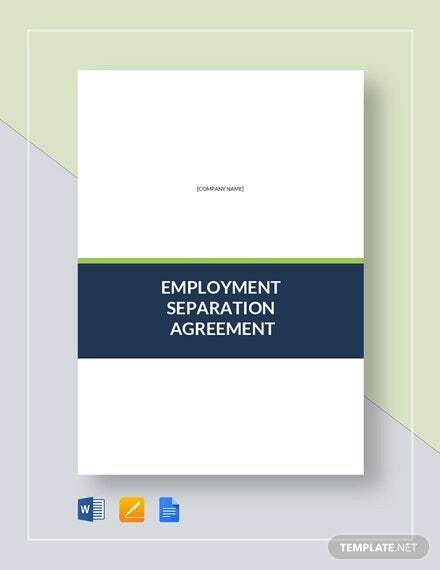 There may be companies who provide separation pays, depending on the agreement and the length of stay of the employee to the company. 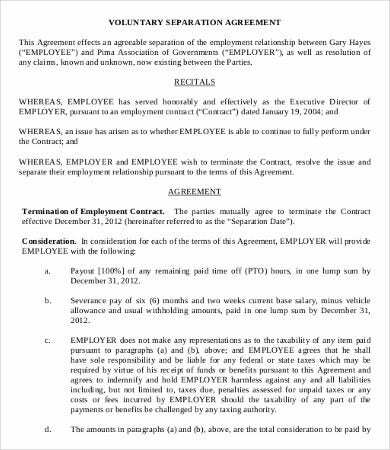 These separation pay may be given either at the day of effective resignation or on a specific number of days depending on the human resource processes of a specific company. Bonuses are still to be given but in a prorated computation depending on the months of the year that the employee is still providing his or her services to the company. 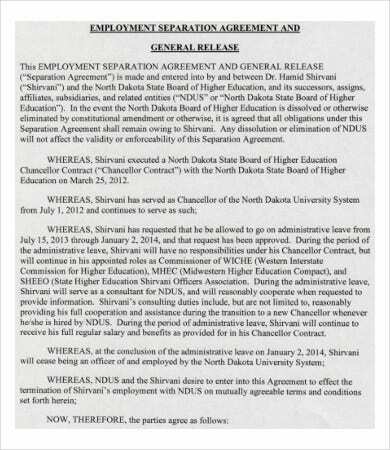 Other amounts that are still to be paid by the company to the resigning employee and the taxes that are still needed to be added to the government account of the employee based on the employee’s entire duration of stay in the company. 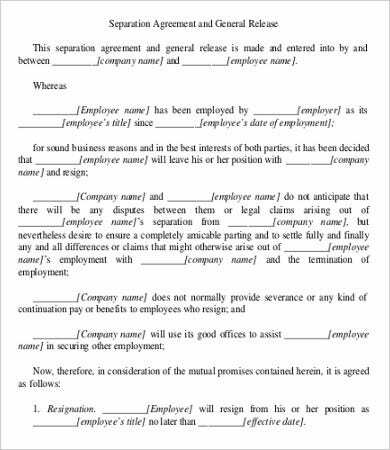 Other than our employment separation agreement templates, you may also download our Non Compete Agreement Template samples.